For those who missed the entry, here it is - A few years back, my mum broke a fingernail just before Christmas, so she decided to stick on a fake nail. As we were dishing up Christmas lunch, mum noticed that her fake nail was missing...we looked everywhere (mind you, we didn't tell anyone) and decided that it must have fallen off when she was doing the dishes. As we were all tucking into our lunch, my aunty had this strange look on her face. She had just had a big mouthful of cabbage and all of a sudden produced mums fake nail!! Mum was horrified but we all saw the funny side of it and still joke about it to this day. The team at the koolaman designs hub could not stop laughing after reading Fiona's entry. In fact we can all relate to the horrible feeling her mum would have felt not knowing where her fake nail had gone! It was hilarious to think Fiona and her mum decided to kept it a secret but it was quickly exposed! That's gold, we loved it. Fiona we are sure you'll enjoy your silver hamper and there's probably enough silver to share with your mum too! 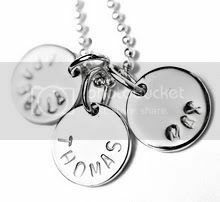 Actually, it would be great if you could post a photo of yourself on our FACEBOOK PAGE wearing all your beautiful silver, when you receive it. Thank you to all who have joined in the Christmas Spirit and participated in the 4 Weeks of koolaman designs Christmas promotion. It's been great fun. If you have left your Christmas shopping until the last minute, don't forget koolaman designs gift certificates are available and can gift certificates can be mailed to recipients up until midday Christmas Eve. Visit our ONLINE STORE to purchase your certificate. Don't forget to keep up to date with all things koolaman by visiting our ONLINE STORE, FACEBOOK PAGE or BLOG. Melissa, we hope you are a standout this Festive Season in your matching CHARLOTTE with RUBY NECKLACE and CHARLOTTE with RUBY BRACELET from the SILVER SEED COLLECTION. We’d love you to post a photo of yourself on our FACEBOOK page wearing your new jewels when you receive them. The koolaman designs team is excited Christmas Day is near, but is not winding down yet. 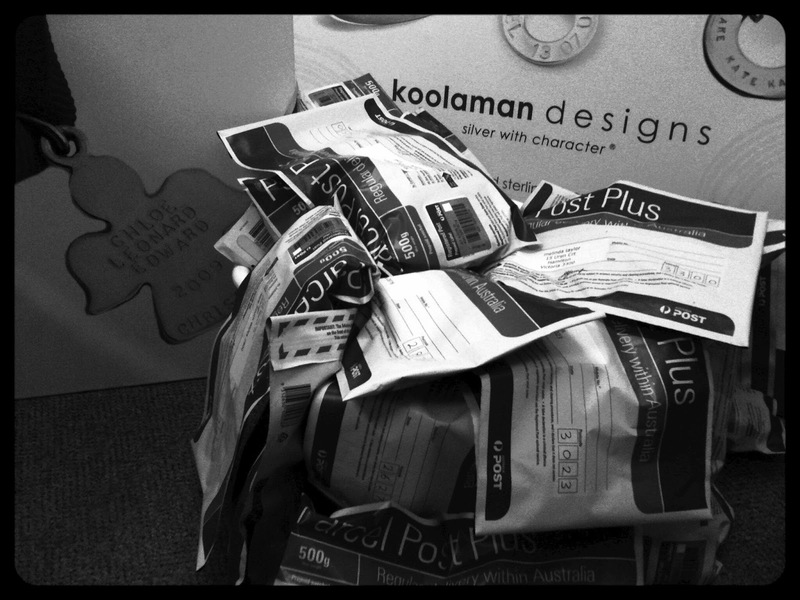 If you live in NSW, VIC, ACT, TAS & SA and have not ordered your koolaman design piece for Christmas there is still time but you only have until midnight tonight, Friday 14 December 2012, to be guaranteed your koolaman piece for Christmas. If there is still time to order, there is still time to squeeze in one more giveaway for 2012. This is our final week of the 4 Weeks koolaman designs Christmas competition and we are going out with a bang. The koolaman team had words with “my true love” and it seems he has responded accordingly. 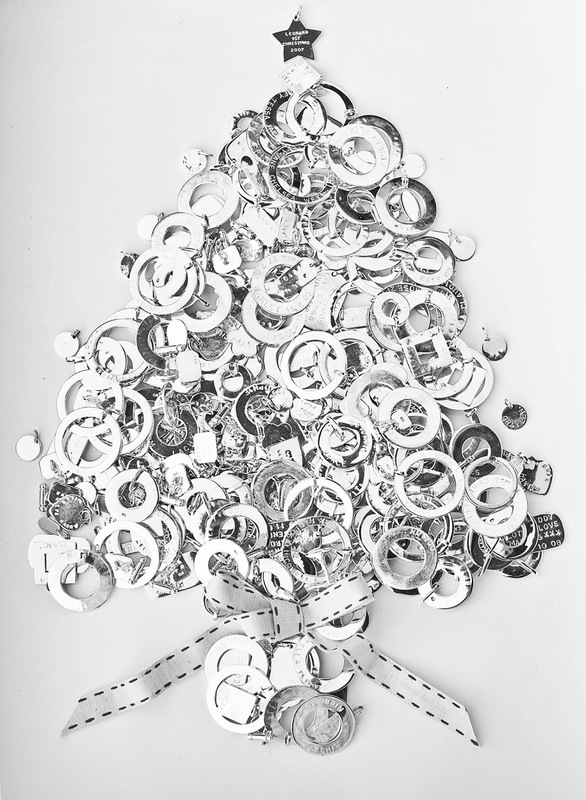 In the fourth and final week of koolaman designs Christmas my true love gave to me a koolaman designs sterling silver gift hamper valued at $1000.00. We know this hamper will delight. Inside the sterling silver hamper you will find an AUDREY PENDANT with 45cm Large Ball Chain, ELLA EARRINGS, LIESEL BANGLE and an OLIVIA NECKLACE with an ELIZA pendant. Imagine opening up all those little koolaman designs boxes, beaming and sparkling, one after the other. To enter you need to answer the following question. What was your worst Christmas cooking experience ever? Surely we are not the only ones who have burnt the turkey or worse, forgotten to cook the meat! Dare to share your experiences and a beautiful silver hamper could be coming your way. To be eligible to win you must post your answer in the comments section of this BLOG and then place the same answer on the koolaman designs FACEBOOK page. The same answers need to be on BOTH the BLOG and FACEBOOK, failure to do both makes you ineligible to win. The most humorous and interesting entry, as judged by the team at koolaman designs, will be deemed the winner of the 4 Weeks of koolaman designs Christmas – Week 4. It’s going to be another short and sharp promotion starting Friday 1pm December 14, 2012 and finishing Midnight Tuesday 17 December 2012. 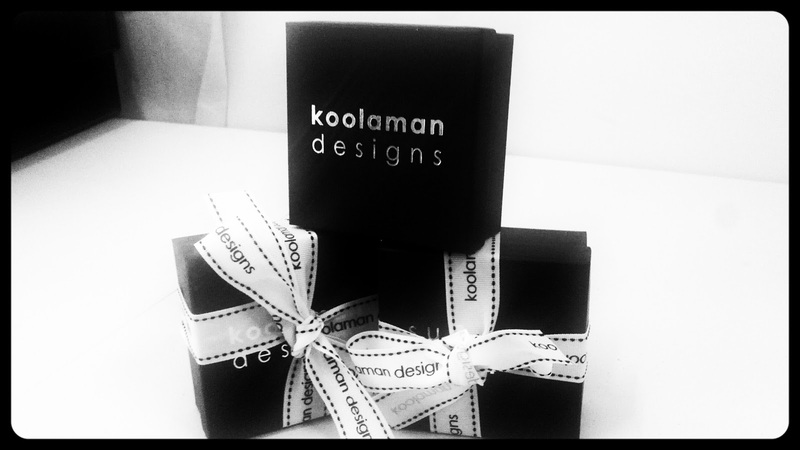 If you run out of time to order a koolaman designs piece as a gift for Christmas don't stress. Gift certificates are a great option. Those nearest and dearest get to choose their own gift with a koolaman designs gift certificate and certificates can be emailed to recipients up until midday Christmas Eve. Just a thought! 3. To enter, simply comment on this blog post with your answer to What is was your worst Christmas cooking experience ever? and then also post the same answer on our FACEBOOK Page. 9. Competition opens 1pm Friday 14 Decemeber 2012 and closes midnight Tuesday December 18 2012 AEST. 10. This competition is a game of skill and the winner will be based on the most interesting comment as judged by the koolaman designs team, chance plays no part in determining the winners. The winner will notified by email and via a post on koolaman designs blog on Wednesday December 19 2012. 11. Winners in this competition agree that their identity may be disclosed in winner announcements and promotional material.All entries become the property of the koolaman designs. 12. Entries not completed in accordance with the rules and conditions or received after the closing date will not be considered. Illegible or incomplete entries will be deemed invalid. The judge’s decision in relation to all aspects of this competition is final and binding on every person who enters. No correspondence will be entered into. We want to keep spreading the koolaman designs Christmas cheer . So here we go again with an amazing opportunity to win yourself some beautiful pieces from the koolaman designs SILVER SEEDS COLLECTION. Thanks to all who participated and joined in the fun during Week 2. We want to see how well you know the koolaman designs collections. 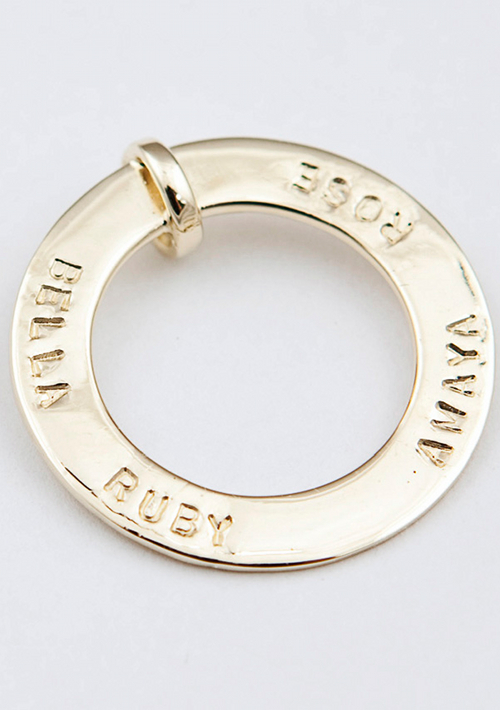 In the third week of koolaman Christmas my true love gave to me a CHARLOTTE NECKLACE and hand-stamped RUBY pendant with a matching CHARLOTTE BRACELET and a hand-stamped RUBY pendant. My true love is certainly coming up with the goods. We are sure you will be talk of the Christmas Table, if you were to turn up on Christmas day sporting your matching silverware! ﻿ It could be you if you do your homework. For the 4 Weeks of koolaman designs Christmas - Week 3, we want to test your koolaman designs knowledge with a game of "Guess the koolaman designs piece". You need to read the two questions below and head to our WEBSITE to browse the different collections to find your answer. You need to submit your answer in the comments section of this BLOG then visit our FACEBOOK page and post your answer on our page too. QUESTION 1 - What koolaman designs piece am I? I'm round in shape with a hole in the middle. Made famous by a popular Australian television presenter. I'm one of koolaman designs signature pieces. QUESTION 2 - What koolaman designs piece am I? Some say I was one of the first on earth. I am small but still a standout, however not everybody can wear me unless they have been through a certain process. So start researching and head to our WEBSITE to help you answer correctly. Whilst you are there, don't forget it is still not to late to order for Christmas should any of our sterling silver pieces take your fancy. PLEASE NOTE we are no longer taking orders for GOLD or pieces from the HIDE COLLECTION for Christmas delivery. 3. To enter, simply comment on this blog post with your answer to Question 1 and Question 2 (as outlined above in the 4 Weeks of koolaman designs Christmas - Week 3) and then also post the same answers on our FACEBOOK Page. 9. Competition opens 10:00am Thursday 6 Decemeber 2012 and closes midnight Wednesday December 12 2012 AEST. Jingle Bells, Jingle Bells, Jingle all the way!!! Well at least we hope Christine Louise is Jingling on Christmas Day wearing her new GOLD GRACE PENDANT!!! Congratulations Christine, you are the winner of the 4 Weeks of koolaman designs Christmas - Week 2. 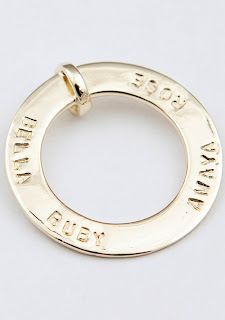 The worst present I ever received was a silver heart locket necklace (doesn't sound that bad really) on the back it was engraved with "Happy 40th Judy". I was 16, it was Christmas not my birthday and my name is Christine not Judy. At 16 I wasn't laughing but now it brings a smile to my face. :-). 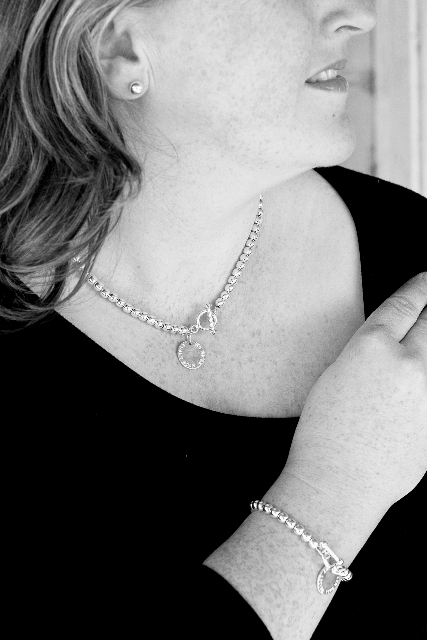 We are sure Christine will love this Christmas Present - The GRACE PENDANT is simply stunning. We hope you are smiling now Christine. Who would have thought your worst present ever could could turn into GOLD literally!! Week 3 of 4 Weeks of koolaman designs Christmas launches tomorrow. Stay tuned to our BLOG and FACEBOOK for more information on how to enter. All things koolaman are hot this month! At Koolaman Station the temperature hit 44 degrees last week and it is certainly heating up in the koolaman designs hub. 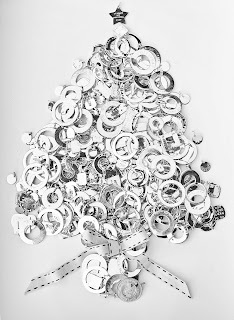 The team are in overdrive as we have less than a month until Christmas. Our staff who work behind the scenes stamping, packing and dispatching orders have upped the ante to ensure Christmas orders reach their destination on time. Here's a sneak peak of what's been happening in the Hub this month. Donna, one of our packaging staff, doing what she does best! Christmas orders ready for the Post Office. Could you be the lucky recipient of any of these parcels? Our cut off dates for Christmas orders are looming. Want an order in time for Christmas? Then you need to hurry. Head to our WEBSITE for further information regarding Christmas orders. We are out and about again this weekend for our final Christmas Christmas Pop-Up-Shops. You can find us at the Big Design Market and Magnolia Square in Melbourne and for one day only at the Square Market in Bendigo. ﻿﻿﻿﻿﻿﻿﻿﻿﻿﻿﻿﻿﻿﻿﻿Don't forget our fantastic Christmas Promotion. Need to know more? Check out our BLOG for more detail. 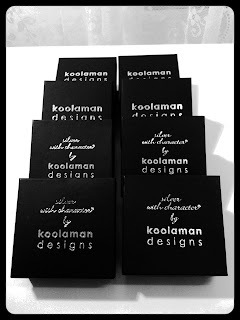 There are some beautiful pieces from the koolaman designs collection to giveaway.